Rinse greens and break into bite-sized pieces. Place in a plastic bag or lightly covered container. Store in refrigerator for 4-6 hours or overnight to crisp. 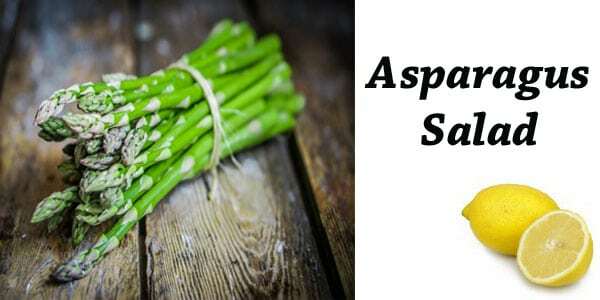 Wash asparagus spears and cut into 2 inch pieces. Shred cabbage and remove all hard pieces. Just before serving, carefully pat greens dry on towel. Place all ingredients in wooden bowl. Toss lightly to add lemon French dressing. Combine all ingredients in blender. Remove from blender and chill until serving time.